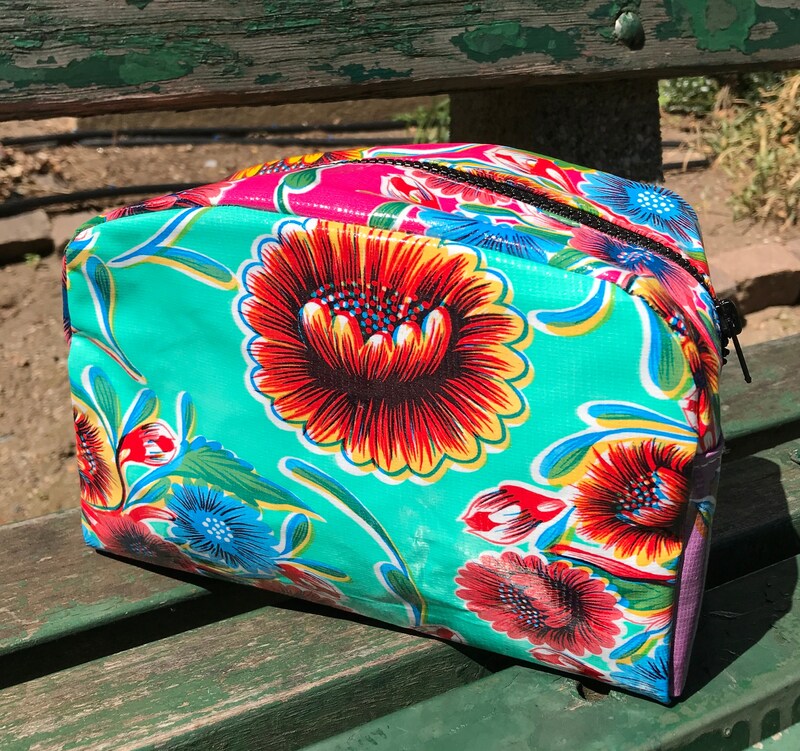 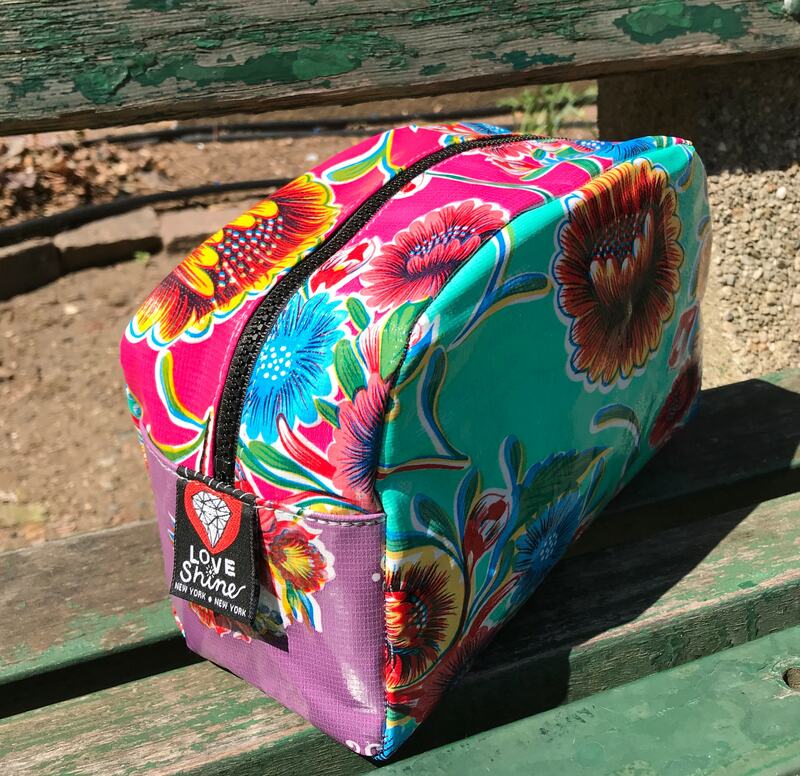 cheerful patchwork oil cloth dopp kits. 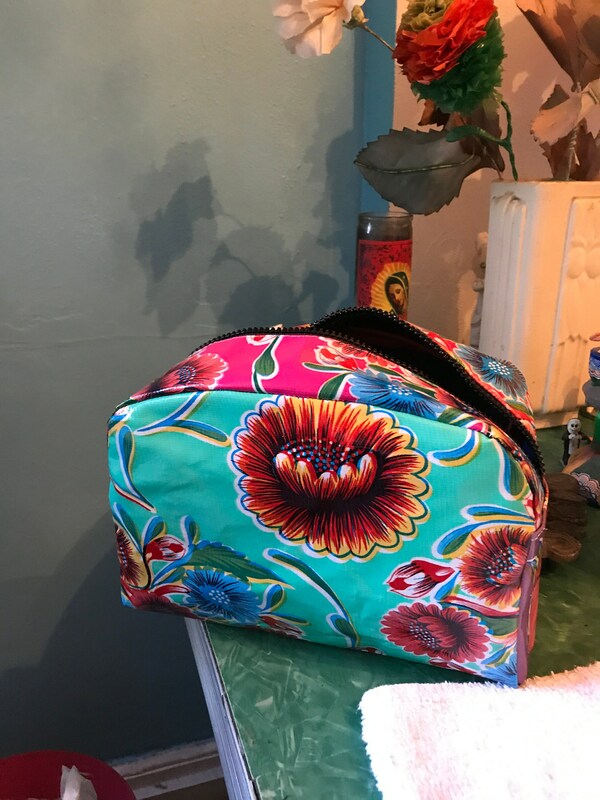 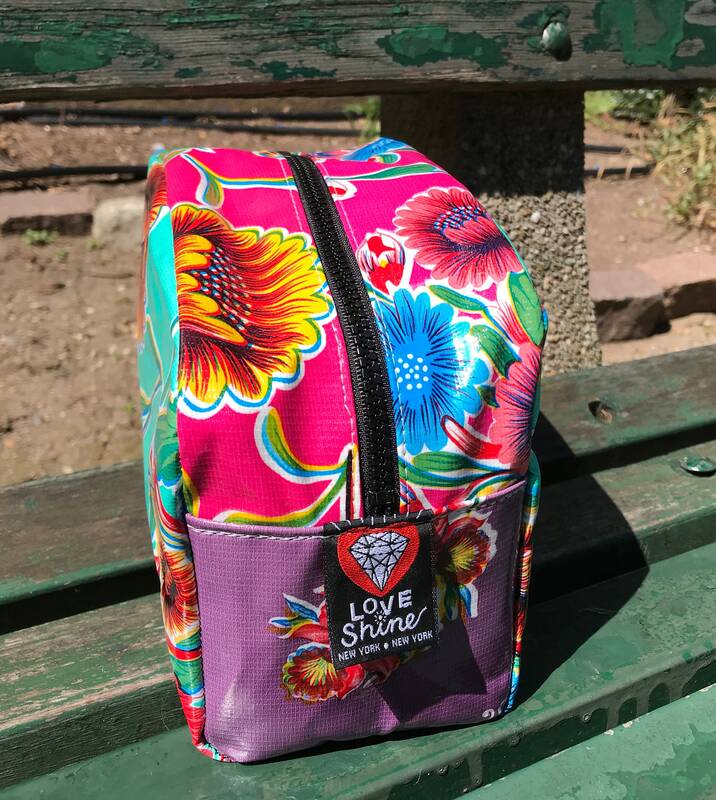 This one is made with a light aqua mexican floral pattern with purple and pink accents. 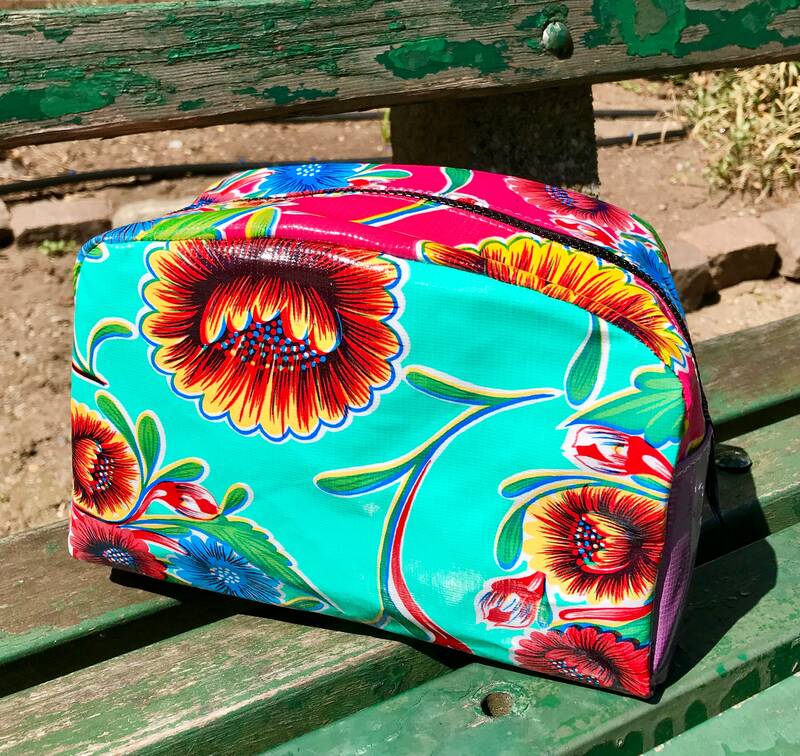 This bag is lined with a water repellent canvas and is perfect for traveling.